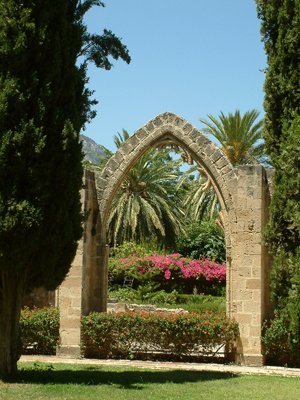 Gothic Bellapais Monastery also known as Bellapais Abbey is set on the flanks of the Five-finger (Kyrenia) Mountains in the beautiful hillside village of Bellapais . 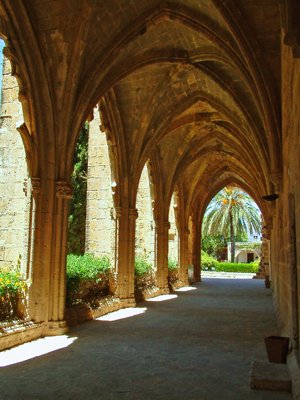 As a former home of British writer Lawrence Durrell (1912-1990), Bellapais Abbey is a Northern Cyprus highlight that should not be missed by any visitor. 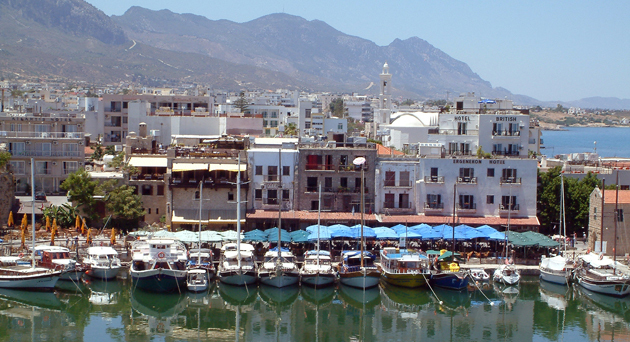 To reach the village of Bellapais, take the road eastwards of Kyrenia that branches at the crossroads on the outskirts of town and at the next crossroads drive straight. Follow the road signposted for Ozanköy and Beylerbeyi (Bellapais) village . 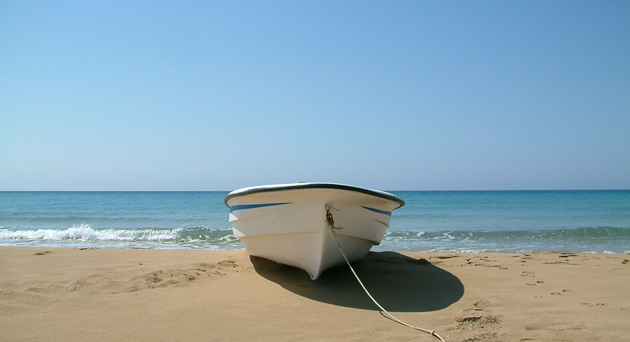 You will pass through the Altinakaya holiday complex and further on, the road branches to the right with Ozanköy (The village of the poets) straight ahead. 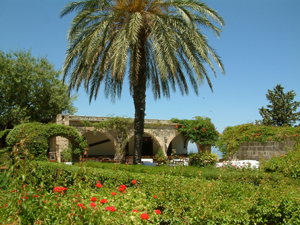 The road to Bellapais is lined with impressive villas on both sides, grand in its style. 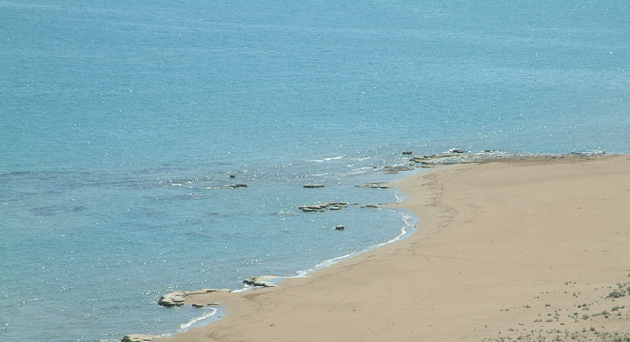 There are modern holiday homes that are in sharp contrast with old Cypriot houses that were left abandoned after 1974. Before entering the village itself you come across an army camp entrance to the right and the road climbs to the mountain to the southern slopes of the Besparmak range. On the road to the village in the passage on the left you can spot a small white Orthodox church, now converted to the village mosque. Parking is rather difficult, but there is a small parking space 70 m past the abbey building down to the left where a huge carob tree dominates. Bellapais Abbey originated its name from French Abbaye de la Paix which means " Abbey of Peace" . 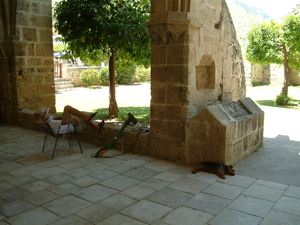 The monastery is one of the most tranquil and serene places on the island indeed. The Venetians corrupted the long-standing name, Abbaye de la Pais to De la Pais, from which it was easy elision to Béllapais . The beauty of thirteen century French Gothic abbey of Bellapais passed through different historic periods, each leaving significant traces on it. The abbey was originally established by St Mary of the Mountain just after 1200 by Augustinian canons fleeing their kingdom of Jerusalem . 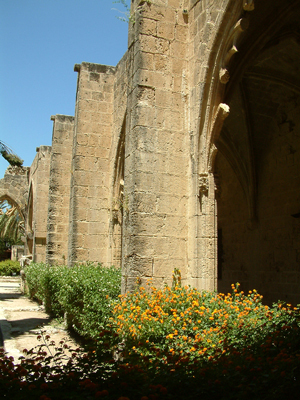 Thierry, Archbishop of Cyprus, and a man behind the construction of Agia Sophia Cathedral (Selimiye Mosque) in Nicosia, persuaded the Augustinian order to adopt the rule that arose in Premontré in northern France . Bellapais Abbey was also known as White Abbey because of the white habits worn by these monks. Under Thierry's guidance the abbey went prosperous and became significantly influential. It was even necessary for Pope Gregory IX in 1232 to remind the abbot of his canonical obedience and spend less time on secular affairs of state. 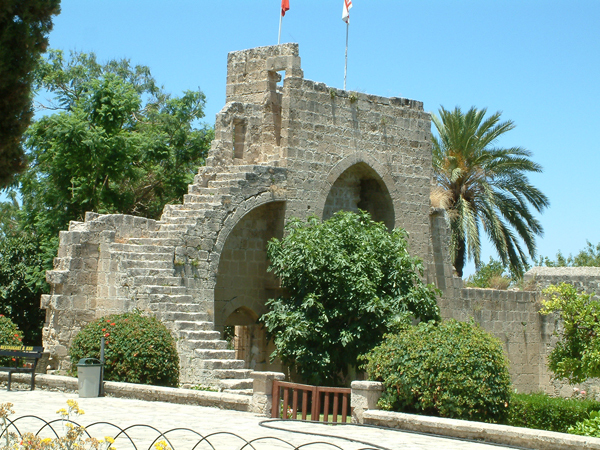 Soon Lusignan King Hugh III conferred on the abbot the right to wear a mitre, sword and golden spurs, which only puffed up the abbey's pretensions towards archbishopric of Nicosia . Moreover, in 1246 the abbey benefited from a large wealth left by a knight simply known as Roger the Norman who endowed them with a gift of a supposed fragment of the True Cross. This sacred relic made the abbey the focus of some distinguished wealthy pilgrims who would spend time in retreat and leave a generous remuneration at the end of their stay. 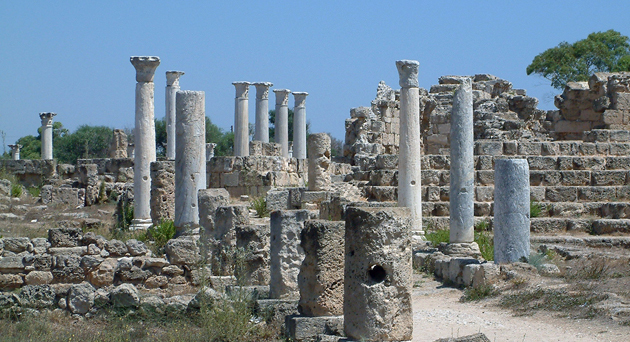 Amassed in tremendous wealth, it became a venue not only for worshippers, but also for royal family and members of the nobility. The abbey continued on developing under subsequent rule of Hugh IV (1324-1359), who was a devout catholic and an art promoter. He is recorded as having great affection for Bellapais and spending much of his time constructing and renovating the monastic quarters. It was during his reign that the cloisters and the large refectory were added. The building was probably completed during the reign of Peter I and there was no further construction work thereafter. Lusignans were benefactors and dwelled in abbey but when the Genoese overran the island in 1373 the abbey fell into disgrace. The treasury was smashed open and the abbey wealth plundered including the piece of the cross. The monastery became one of the victims of the onslaught and both moral and physical decline. The monks of the order corrupted into promiscuity and never regained their former reputation. 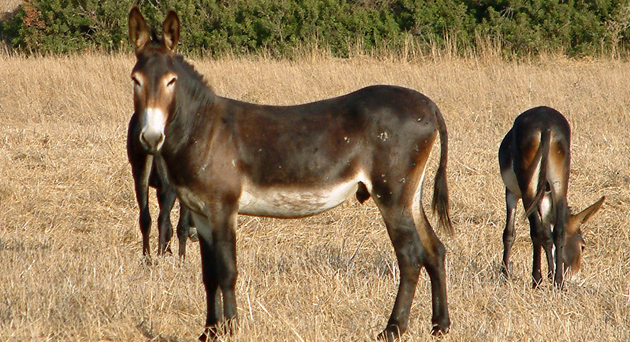 Taking only their wives and concubines, they would accept only their own children as novices. They let the abbey fall into decay and lived a life far divorced from poverty and obedience. 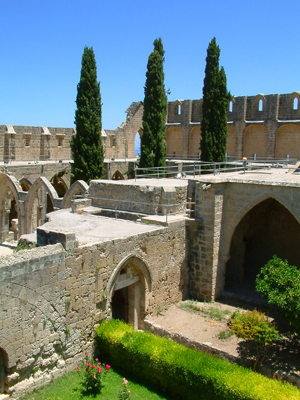 After the Ottomans came to the island in 1570, they looted the abbey leaving it slummy. Whatever happened to the monks and their families is unknown, probably got dispersed into nearby settlements. The village of Bellapais that grew up around the monastery became apparently populated by descendants of the monks. The abbey was put under protection of the Orthodox Church and it continued to serve for worship until 1974. Much of the monastic buildings later fragmented and the stones were used by the villagers for building of nearby cottages. The chambers that remained roofed were used for farm implements and fodder stores and sheep grazed in the cloisters. Under British administration the building was put to little better handling, served for the army, but still the abbey suffered due to human being. 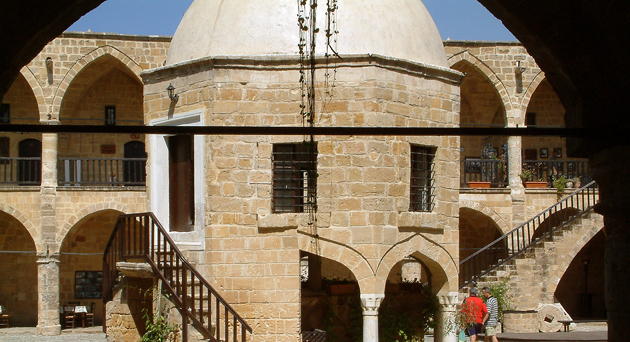 Repair work began gradually since independence in 1960 and up to the present day the abbey buildings have undergone a steady programme of restoration including repairs under the first curator of the Lapidary Museum in north Nicosia, George Jeffrey. What we can see today is a mixture of completion and destruction, still with some pieces of the monastery in excellent state of preserve.